And every time we get together, we greet each other with a big hug and always, always a peaceful smile and good, long sigh. That’s the stuff that opens the heart. Those are the moments that make you sigh. That’s the stuff that lets the light in. That’s the stuff that nurtures your soul. When you taste something so good, you close your eyes…. That’s the “make-this-moment last” stuff. Those are the moments that we sometimes take for granted or overlook. 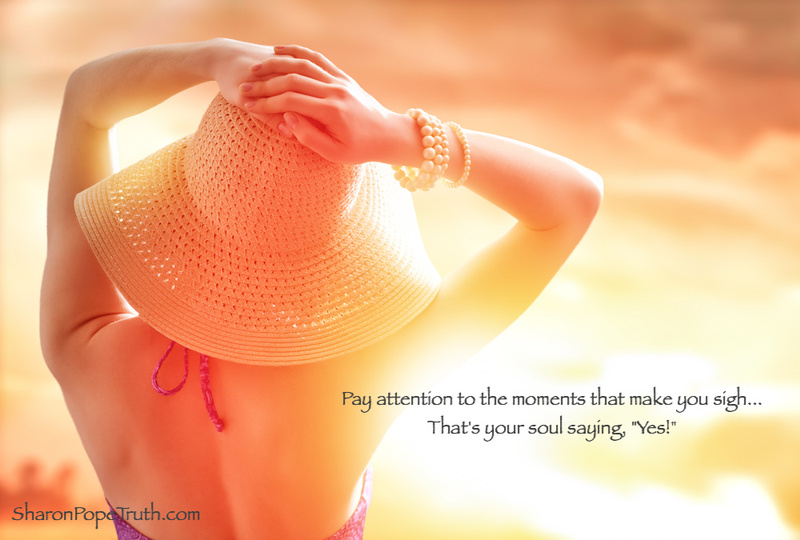 Pay attention to those moments that make you sigh.